Fourteen schools in the tri-country area vowed to read as many books as possible outside of the classroom. After all, it was Scrappy’s orders. The program, which kicked off in January, promoted reading to kids from as little as five years old to Jr. High classes. Those classes that read the most books were rewarded with a pizza party. 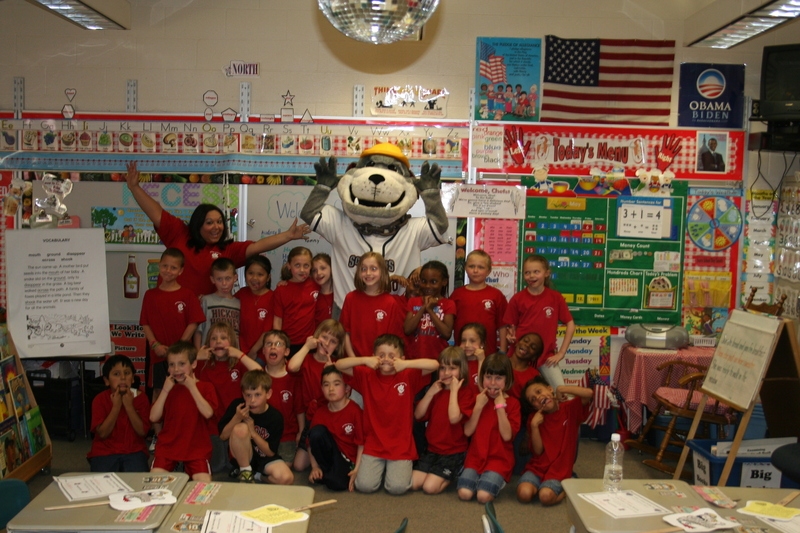 Over the past two weeks, members of the Scrappers front office, and of course Scrappy, made their rounds throughout the area delievring Pizza hut pizza and congratulating the classes on a job well done. Along with the pizza prize, students have the opportunity to attend a Scrappers game for free on either June 20, June 27 or July 13. Participants will also be able to go on the field with Scrappy and be honored, prior to the first pitch. Media outlets in the area picked upon the reading movement. Articles from the Youngstown Vindicator, Salem News and Trumbull County Tribune-Chronicle, can be read by clicking thier respective titles. 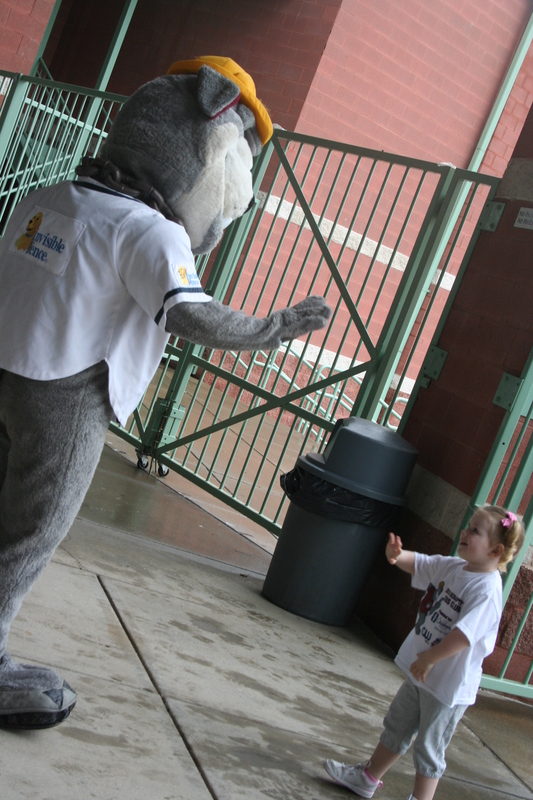 Scrappy was eager to meet and greet every one of the nearly 250 people who came to Fan Fest. After a winter away from Eastwood Field, he too is excited for a fresh year at the ballpark. There were many activities for those in attendance. The face painting table was a hit amongst the children. They were so pumped to run around showing off their new artwork. 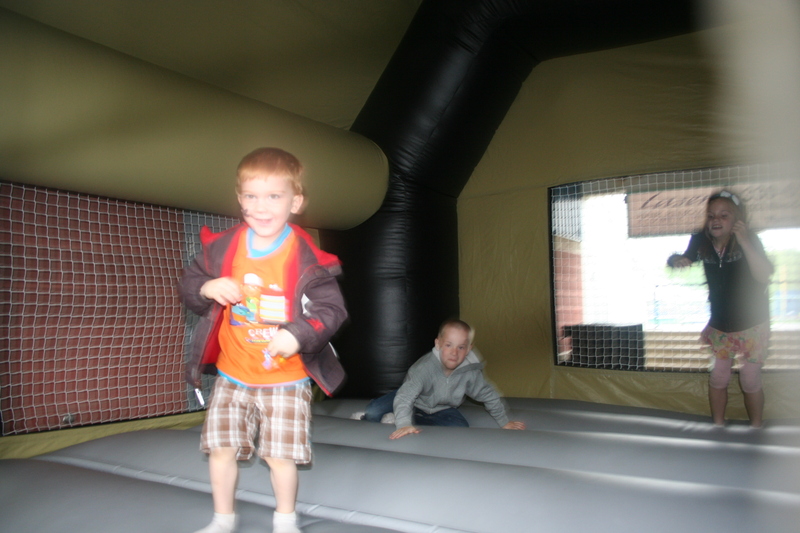 Also, inflatable bounce-a-rounds were available for them to let off energy. 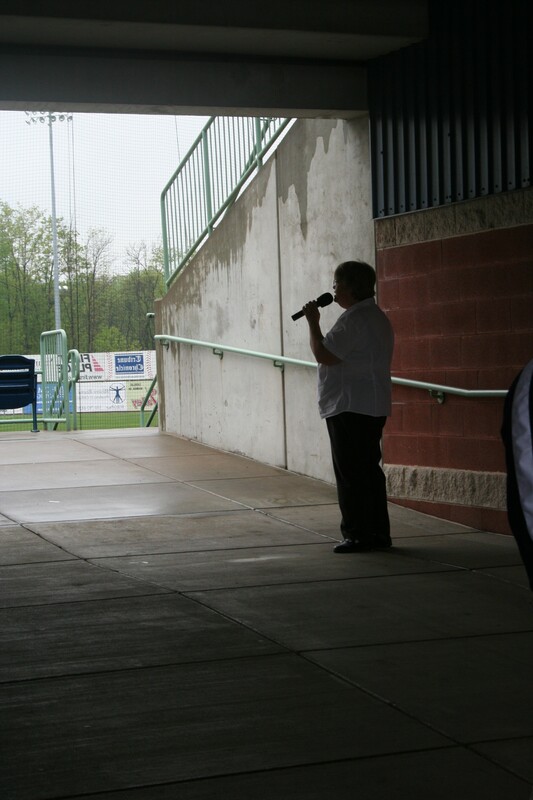 A baseball game can’t officially be started without the singing of the National Anthem. With 38 home games, the Scrappers need some of the brightest talent in the Valley to usher in an evening at Eastwood Field. Many came out to showcase their voices in the Anthem tryouts. The lucky contestants are currently being selected and will be notified potential singing dates within the next two weeks. 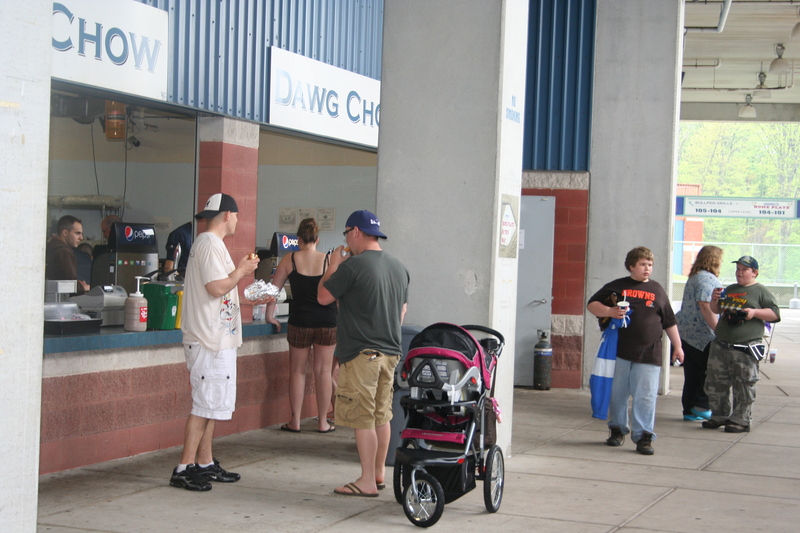 Fans got a true taste of game day with the Dawg Chow Concession stand offering great deals on ballpark fare. 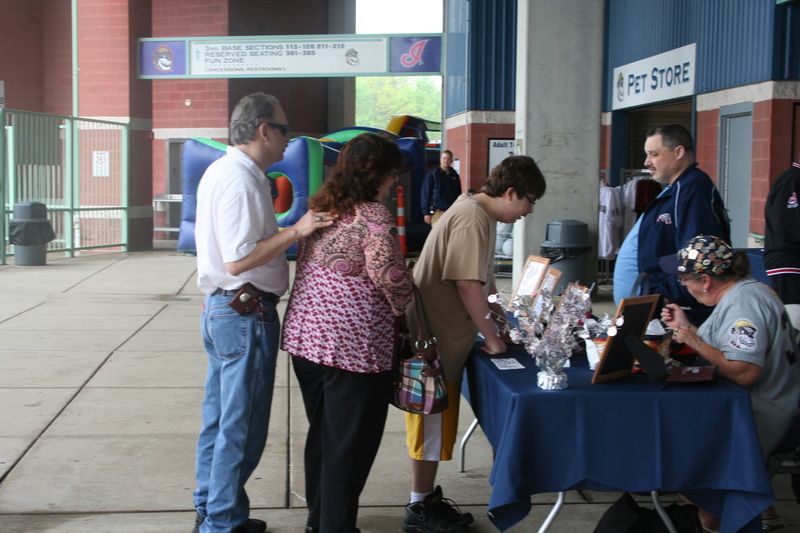 The Scrappers Backers were also on hand to excite people for the season and debut their famed 50/50 contest for 2011. No day at the field is complete without a souvenir. Many fans took advantage of the great deals at the Pet Store including a pair of T-Shirts for $35 and two hats for just $25. 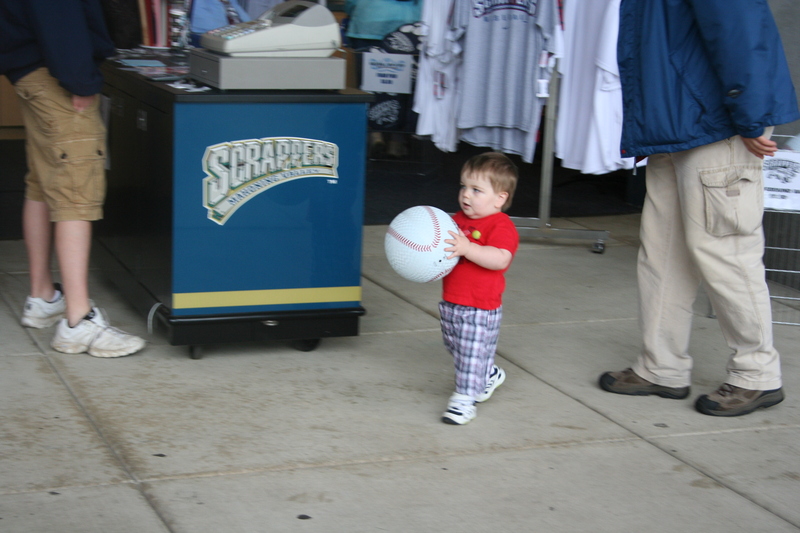 This little guy went home with a new Scrappers playground ball. 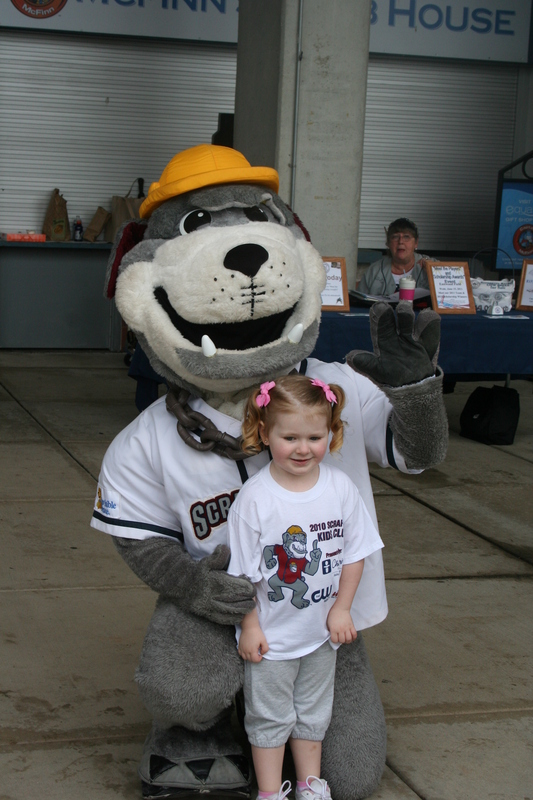 While Fan Fest couldn’t last forever, fans took solace in the fact that the Scrappers season is just a few weeks away. Great seats are still available for all home games and there are plenty of promotional days to appease fans of all ages.